Discussion in 'The Pub' started by ford, Apr 28, 2016. I just had a friend email me a link to the first single.. I had no idea. I wasn't a Monkees fan. The band and show were before my time, but obviously pop culture have kept me in touch with who they are and I enjoy I'm a Believer for what it is... a well crafted pop song.. So all of that has peaked my interest as I'm a fan of all of those bands. Here is the video of the first single. It is pretty dang catchy and cheesy.... which isn't surprising. PaganBeef, 65DuoSonic, Aran and 6 others like this. Kind of a shock to have a Monkees song reference being at "the mall." Music scribe Jeff Tamarkin, whose tastes and opinions I trust, gave it a very positive review. ford and roadfilm like this. So this is new material performed by the surviving members? How much playing are they doing, or are they bringing in the "Wrecking Crew"? Tommy Biggs, lp_bruce, soulohio and 1 other person like this. I have never or will ever like this mockery of a band. Mickey Dolenz had a great voice for pop music. Stratobuc, Aran, ford and 5 others like this. I've been waiting for this for so long. So exciting. I'll have to save up my pocket money and get it. Jaddy and ford like this. Aran, ford, Judge Smails and 1 other person like this. I was a young punk when the TV thing was new. Watched, liked, read that they didn't play just sang, hated, but later thought more highly. Learning that the Byrds pretty much did the same thing lessened my hip outrage. I wish I could have seen this concert. I probably would have come late to avoid the opening band. lifeson1, Wrmbrnr, ford and 2 others like this. Aran and sausagefingers like this. Haha . 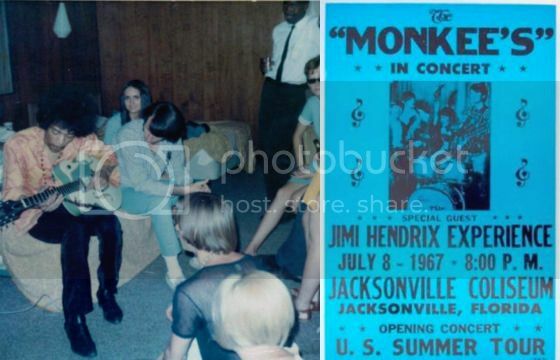 . . these concerts are now infamous, it was early Hendrix touring with them IIRC - the teeny boppers had no idea what to think of Hendrix - he eventually bailed on the tour. I love the Monkees - such great songs written by a crew of great song writers - even some great moments of playing -"Long Title" supposedly had some Jerry Garcia playing on some of Head. Head is a good movie and a real freaky testament to the times. Cool for them. I always liked the Monkees. I've covered Pleasant Valley Sunday (thanks Carole King) in many bands. Some Monkees trivia that some of you may not know. The night The Beatles first appeared on the Ed Sullivan Show, they also had the cast from the theatre hit Oliver on the show to perform a few numbers. The Artful Dodger was played by a young (and very talented) Davey Jones. I'm into musicals, so I love this. Jim S and bloomz like this. I have a suspicion that this will be a really good album. Aran, ford, Hwy14 and 1 other person like this. Did Neil Diamond write some more songs for them? Always took them with a grain of salt because of the goofy TV show.... until I saw the movie HEAD. Nothing at all like the TV show. Very 'head-y'. Written by Jack Nicholson. And the music is really good too. Aran, ThePeopleofColin and 65DuoSonic like this. Yep. He wrote this little ditty. ford and bloomz like this. That doesn't sound like the Monkees.